Tis the season! The CrossFit Open starts on FEBRUARY 25TH! We are hoping for 100% participation this year and because it is scalable now, anyone can do it. Many of you may think “Why bother? I’m not here to compete. I’m surely not going to win anything or go to the CrossFit Games.” We would say… “you’ve completely missed the point of the Open”. 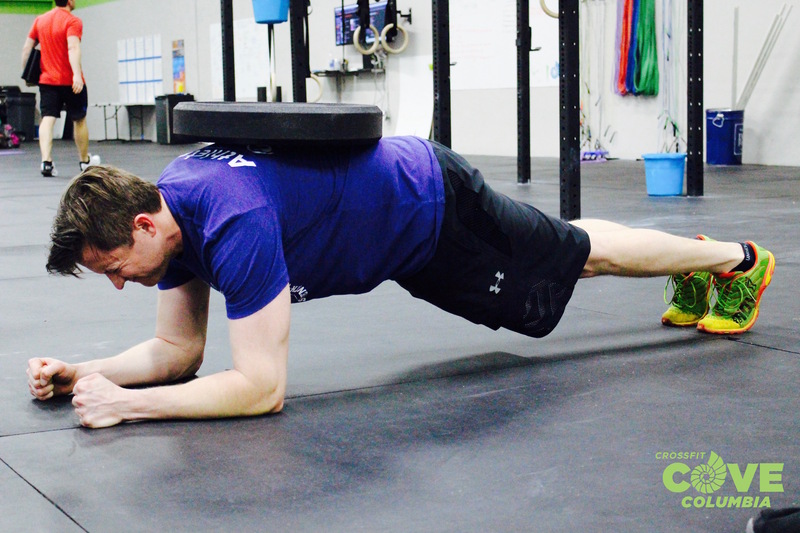 The Open is a galvanizing event for ALL CrossFitters, but especially for us here at the Cove. For those of you who don’t know much about it, for five weeks, for five workouts, any and every athlete in the world has the opportunity to participate in an event that is the precursor to Regionals (and then the CrossFit Games) called the CrossFit Open. Every Friday night (the workouts are released Thursday evenings) we all get together for a “Friday Night Lights” style WOD. We cheer each other on, we act as judges (counting reps and checking movement standards) for each other so we can submit official scores but most of all… we have a BLAST. But don’t worry if you can’t make it here on Friday nights; during the Open every Friday (instead of the Partner WOD) we will do that week’s Open Workout as our WOD. Trust us, those five weeks are our community at its finest! 1. There will be lots of “firsts” here at the Cove. It may be your first time doing a competition or getting judged on your reps; and you lift something or do a movement you didn’t think possible for the first time. 2. You push hard in your workouts but it’s nothing like an Open workout with everyone around you. 3. The Open is a world wide competition. It’s something you can share with your friends and family that compete at another box and you can see how you stack up to the WORLD, not just our WhiteBoard. 4. It’s a chance for you to meet the rest of the gym. Who are those crazy people that wake up for the 5:30 AM class? What about the nooners and guy or gal you always chase on the WhiteBoard. 5. Last year a scaled division was added, you don’t don’t need to be elite to participate. You can do it even if you are just starting in the CrossFit world. 6. Trash talk -it’s not just for basketball (says Coach Brian). 7. You will learn what you are good at and bad at – you might struggle with Workout 1 with deadlifts but kill Workout 2 with burpees. Who knew you were a ninja at burpees!? 8. It will challenge you and challenges are good. 9. When you watch/judge another member you will learn more than you thought about what good movement looks like. 10. You will be inspired by others and you might inspire someone else. Just so everyone is aware, there is a $20 charge for doing the Open that goes to CrossFit HQ. It’s annoying but well worth it. Every bit of global data is tracked and you can sort your scores with a variety of filters. It’s ADDICTING! Again, we are aiming for 100 percent participation for this event. The more people involved the greater the experience is!